WESTBROOK ~ Northwest location! YORKTOWN SCHOOLS! 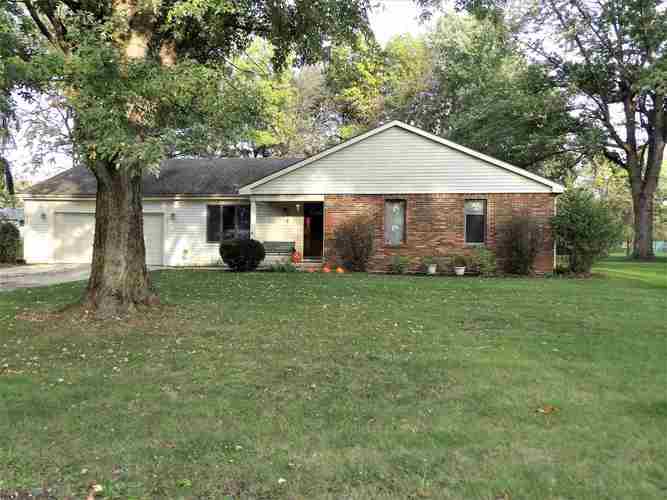 Wonderful 4 bedroom, 2 bath ranch features lots of nice updates! Loads of living space offered including a large living room plus a spacious family room with fireplace and large skylight. New sliding doors just installed Nov 2018 access the covered patio out back. Family room is open to dining space which adjoins wonderful kitchen with loads of attractive Shaker-style cabinet space and a work island. Brand- new electric cook top and wall oven were also just installed Nov 2018. Private Master bedroom suite features new carpet, walk-in closet with organizers, and is open to spacious dressing/bath area featuring his and her vanities and shower/toilet space separated by a pocket door. Hall bath has been updated including new bath tub, vanity top, toilet, and vinyl flooring. All three additional bedrooms have double closets. Large laundry room has shelving (washer and dryer are negotiable). Partial basement houses furnace, water heater, and softener, and sump pump just had motor replaced per seller and has an alarm system. Outside there's a great covered patio area off the family room and a large concrete patio overlooking the back yard. (Children's play set stays.) Located on the 5th tee of Elks Golf Course which, according to seller, was always a perfect place for the kids to have a lemonade stand. Note: Home does have a partial basement but it does not show on courthouse records. Directions:CR 500 W to Butternut, west to Buckeye, South to property on east side of street.